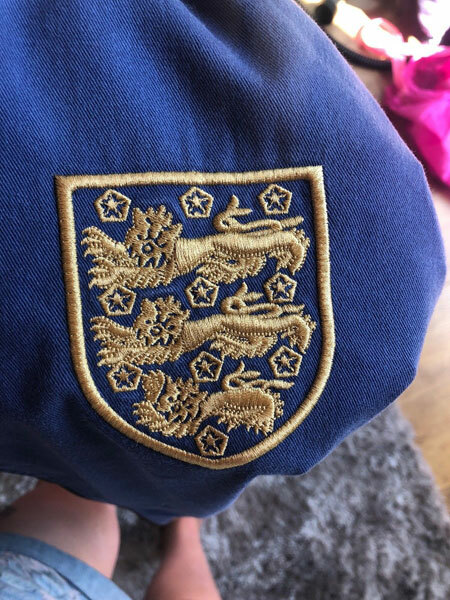 I am not sure how original this is, but it is listed as an original England 1966 World Cup Jacket on eBay. I don’t think for a minute that the jacket was a player worn jacket. It just doesn’t look right for that. But I suspect this is a vintage replica piece. It looks different enough to the Umbro reissue of some years back, not least in terms of the badge and the label. 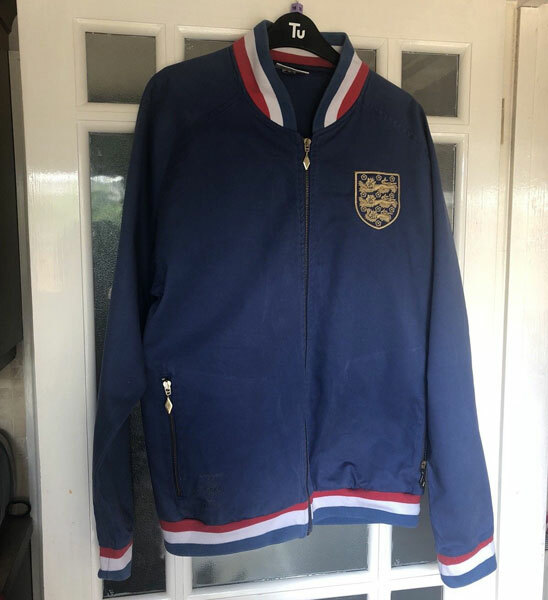 According to the seller, this is ‘an original jacket not a re-release’ that belonged to her grandad and it is in ‘excellent condition’. 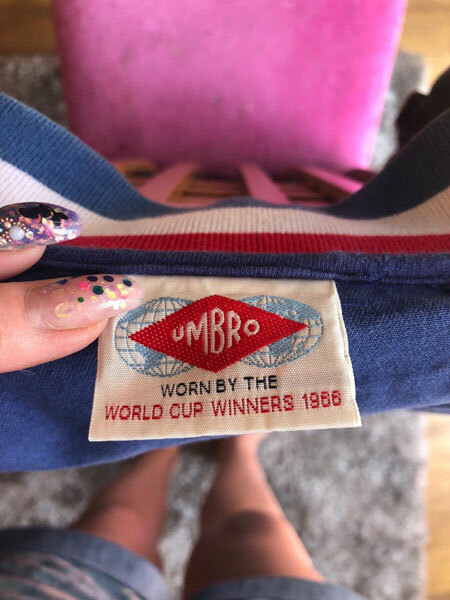 The jacket has Umbro branding inside the collar and near the hem, a gold England badge and the red, white and blue stripes for collar and waist. Size medium as well, which isn’t a bad size to try and sell and if you want it, the current price is at £5.50, but it does have a reserve. Make your own mind up about its age, I’m certainly not making bold claims as I don’t have enough insight. But it’s a lovely thing. 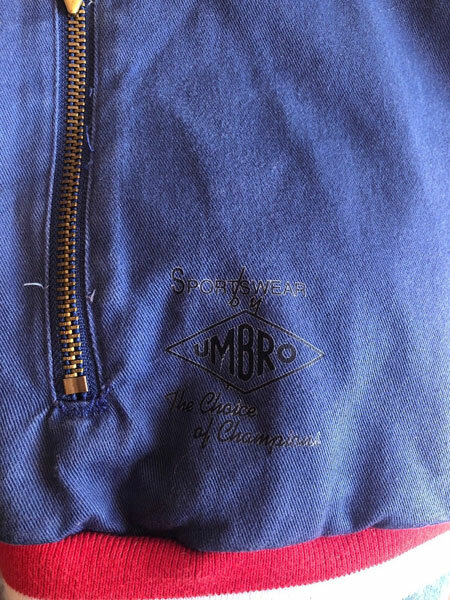 Update: There is a chance this could actually be one of the 2008 reissues from Umbro rather than the vintage item pitched by the seller. Inside label looks different, but beyond that, there is a similarity.